CI Medical Center's clinicians include specialties in internal medicine, family medicine, pharmacy and nutrition counseling. We have special interest in obesity, weight loss, diabetes, high cholesterol, hypertension, heart disease and metabolic syndrome. We believe life is uncertain and want to empower our patients with knowledge and early detection screening to increase their odds for healthy living. As most current chronic and future chronic medical condition are ultimately related to obesity and weight loss can prevent these conditions, we focus on providing nutritional, educational and exercise counseling, as well as medications to help our patients lose weight. A well known study conducted by NIH reports that a modest weight loss of just 7% of patients with obesity can reduce these high risk patients' future risk of diabetes by up to 50%! 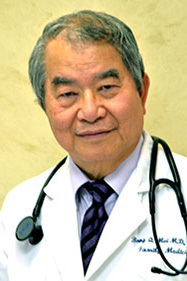 We have thousands of satisfied patients in Houston and we are grateful that they continue to entrust us with their medical care as family medicine and internal medicine doctors who specialize in weight loss and obesity management to prevent complications of obesity such as diabetes, high cholesterol, arthritis, cancer, heart attack, sleep apnea and stroke. Our multi-specialty practice also welcome walk-in patients for urgent care, as well as for routine and chronic conditions related to family medicine, internal medicine, physical therapy and nutrition counseling. For our patient's convenience, we are open on Saturday. We also have on site various diagnostic testing equipment such as laboratory testing, treadmill stress test, pulmonary function testing and peripheral artery disease (PAD) evaluation for the early detection and prevention of heart and lung disease. With the confidence entrusted to us by you, your friends and family, we provide comprehensive, yet individualized, examination and treatment for your health. We consider it our responsibility to educate our patients about their conditions and the various choices available to them. Our practice continually focuses on the importance of the wonderful diversity among the people in this Houston community in which we serve. Our physicians strive to have an ideal makeup of experience and youth. We would like to learn about your personal values and traditions. We too are multi-cultural and multi-lingual, an important characteristic that we will maintain. We rely on, and are grateful to all who support our effort: our patients and their family, our staff, our affiliated hospitals, and our fellow community physicians with whom we have had the privilege of working.